There are a number of food holidays that take place every year — some we can get behind, others, not so much. One of the ones we’re all for? National Picnic Day, which is celebrated on April 23. After all, al fresco dining is something we wish we did more often. And we’re not just talking about having a meal on one of Richmond’s hot new rooftops. You don't need to wait for a special "holiday" to enjoy outdoor dining in RVA, though! A no frills picnic can be a great way to experience the Richmond Region like a local in the spring and summertime. 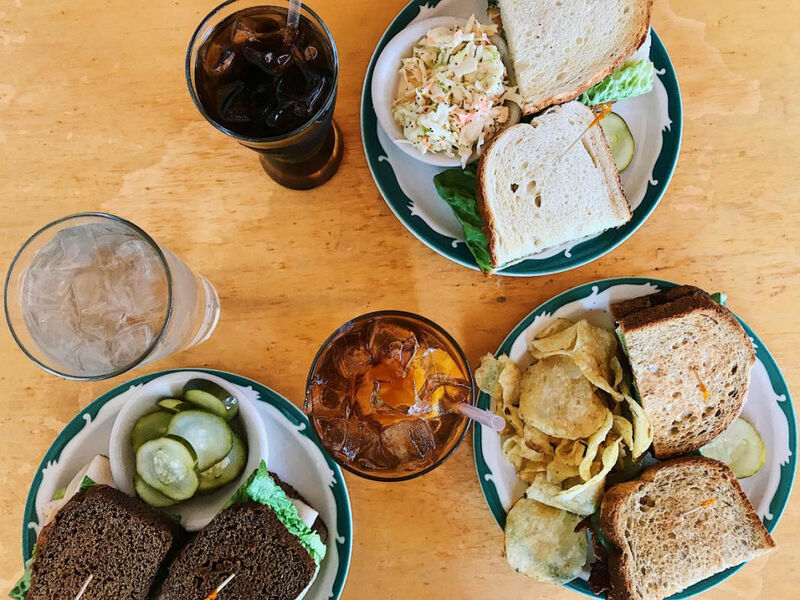 With so many fantastic neighborhood spots where you can grab a meal to-go, a picnic can be easy as pie, even when you're visiting from out of town. So grab a blanket and your favorite travel companions and explore a few of RVA’s best picnic spots. Looking for classic sandwiches with a bit of a twist? 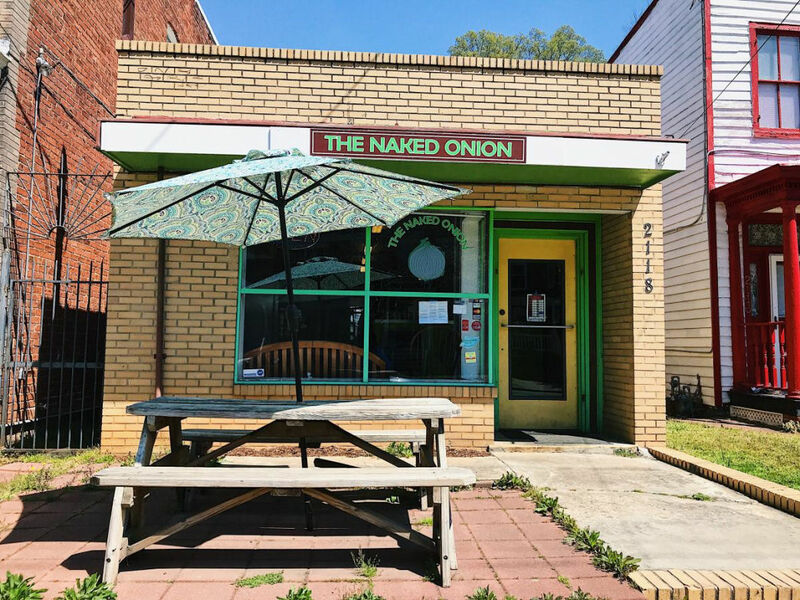 The Naked Onion has got you covered! This unassuming little sandwich shop on Cary Street in The Fan is a hidden gem, literally —as in it’s easy to walk or drive right past it. 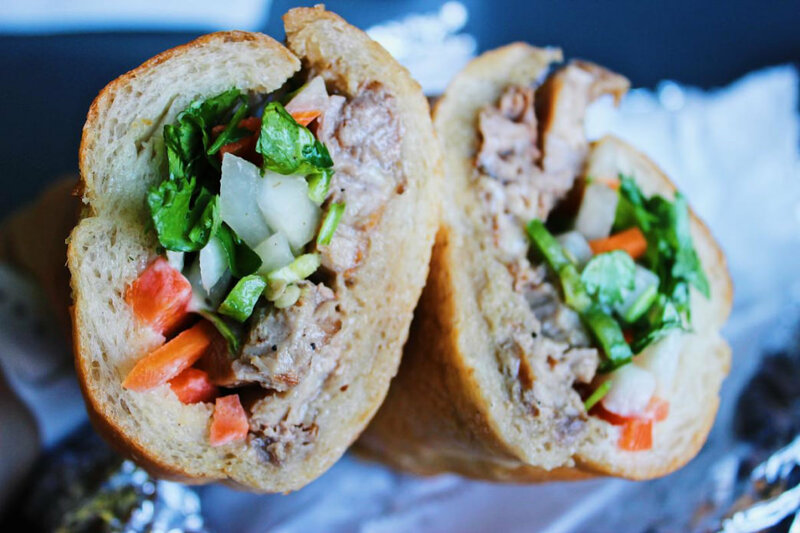 Our picks here are the banh mi with pork belly —purists should note that there’s no liver patê but its so good you won’t miss it— and the blackened chicken salad. The banh mi is the perfect combination of salty and sweet and the baguette pairs nicely with the crunch from the carrots and daikon. The blackened chicken salad hits some of the same notes being both savory with a hint of sweetness from the apples and grilled corn. Both are packed with flavor. The serving sizes are generous and we recommend going halfsies with a friend so that you can try more than one! All sandwiches come with a side salad or potato salad (if you’re feelin’ fancy you can upgrade to soup or bread pudding). Bonus: Naked Onion has many vegetarian options and you can sub gluten free bread for most sandwiches. Grab your to-go order from The Naked Onion and bike or drive less than 2 miles to the Virginia War Memorial Carillon. 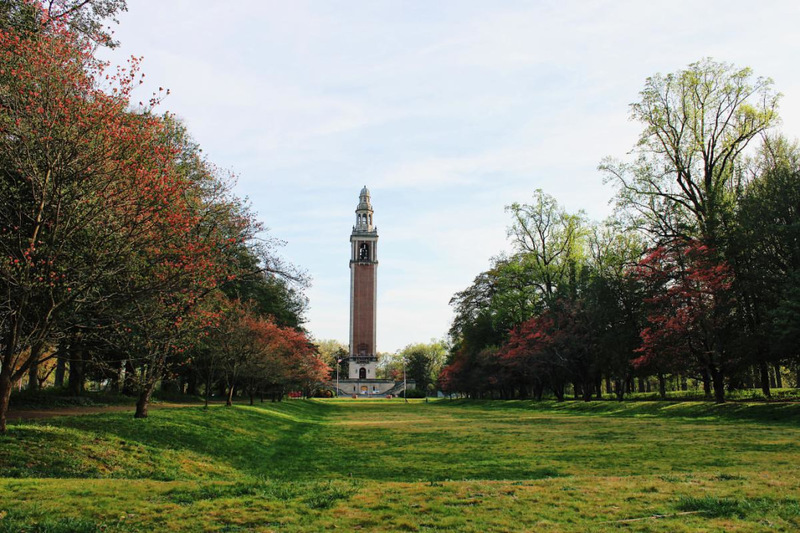 The lawn leading up to the Carillon is lined with blooming trees when the weather is warm, making it a picture perfect spot to roll out your picnic blanket. This little spot has plenty of parking nearby and is typically less crowded than nearby Fountain Lake. Oh, Stella's Grocery. Located across the street from Stella’s the restaurant, many to-go versions of the much-loved items from the restaurant can be found at Stella’s Grocery. 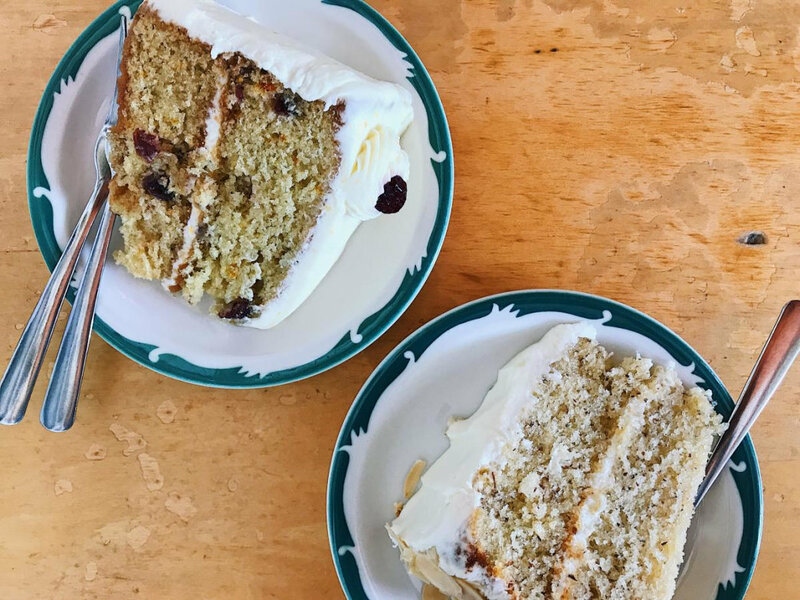 If you’ve ever been to Stella’s, that should be enough to inspire a trip, but you can find everything from greek salads to souvlaki to pasta to desserts to rotisserie chicken. They even have hot soup and paninis. Like any good market, you can also stock up on everything from high quality olive oil to local goods like candles and soaps while you’re visiting. Conveniently located just about a mile and a half away from Stella’s Grocery is the Virginia Museum of Fine Arts (or VMFA, as the locals call it). The VMFA is truly a Richmond gem, and not only because of its stellar art collection. 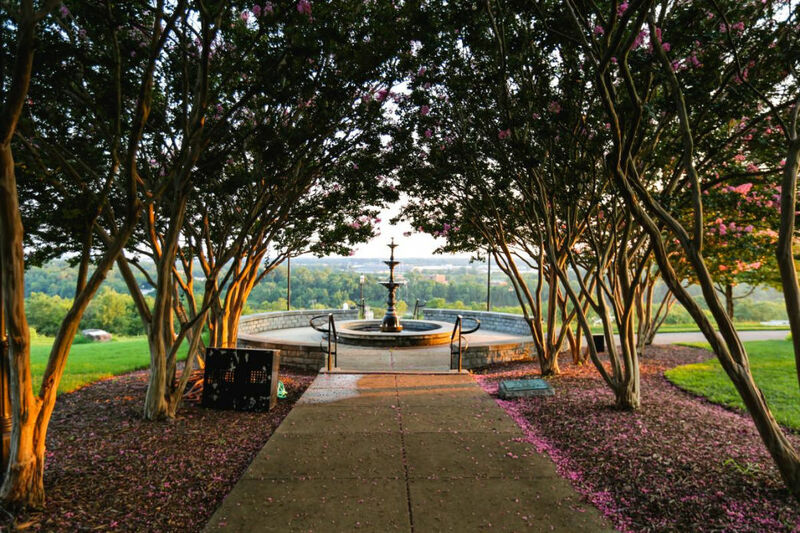 Located in the aptly named Museum District, the VMFA's Robins Sculpture Garden offers the picture-perfect atmosphere, pups galore, and a number of tables, chairs, and benches throughout the property where you can relax and enjoy your meal (which is especially convenient if you didn't think to pack a picnic blanket). 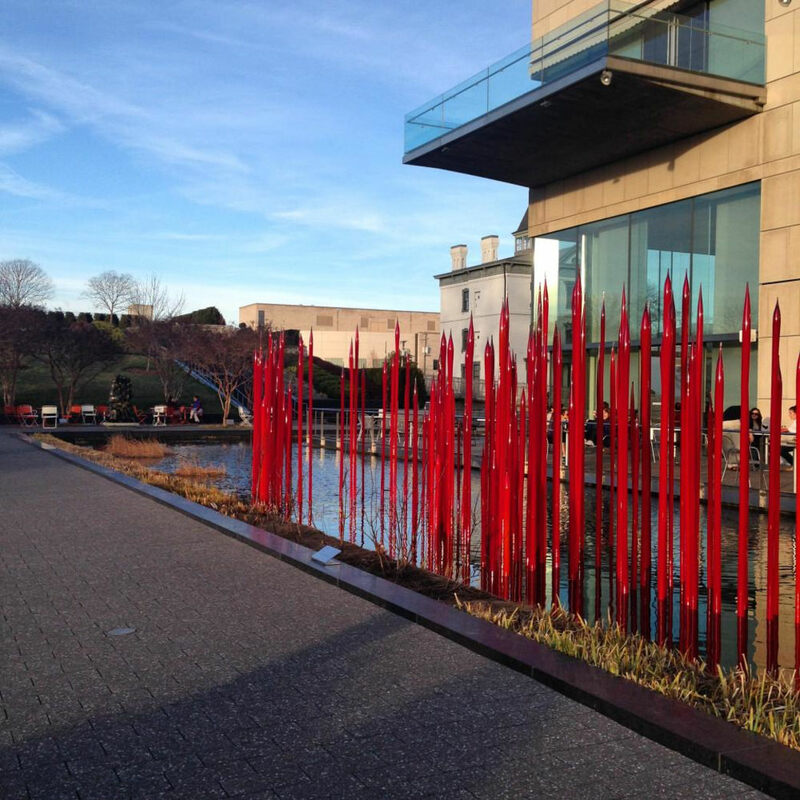 When you enjoy a tasty picnic paired with views of Chihuly's Red Reeds, you'll quickly see why this is one of our favorite spots to enjoy the outdoors. Bonus: The VMFA stays open late on Thursday and Friday evenings, and you can buy local beer and wine at the on-site Best Cafe to enjoy with your picnic meal. Pie only picnic?! Yes please! And not just sweet pies (although we’d be okay with that, too). 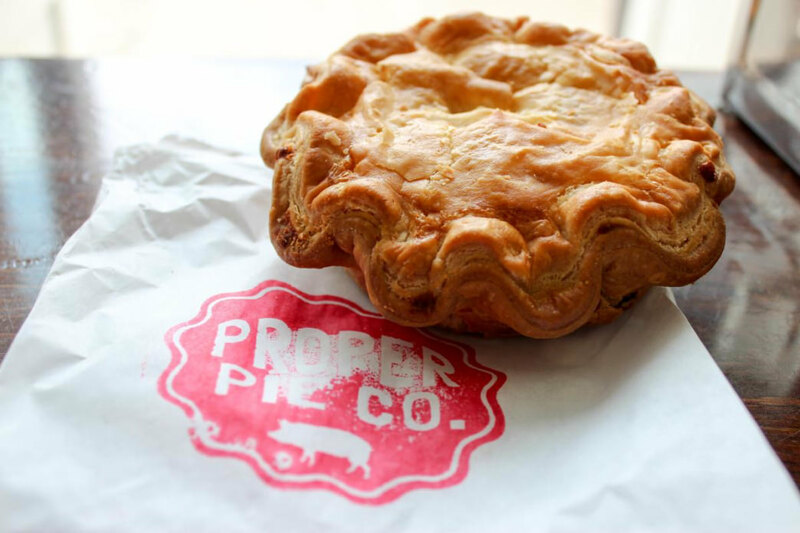 Proper Pie Co. also serves up some killer New Zealand style savory pies, which just happen to be the perfect handheld food for an impromptu meal outside. Located in Church Hill, this restaurant is strategically positioned near a few excellent picnic spots. Proper Pie’s menu rotates daily, and is shared every morning on its Facebook page. If the pork chile verde pie is on the menu, do yourself a favor and order it (then share with us)! These savory pies are great for sharing — but we’ll warn you, you might not want to. 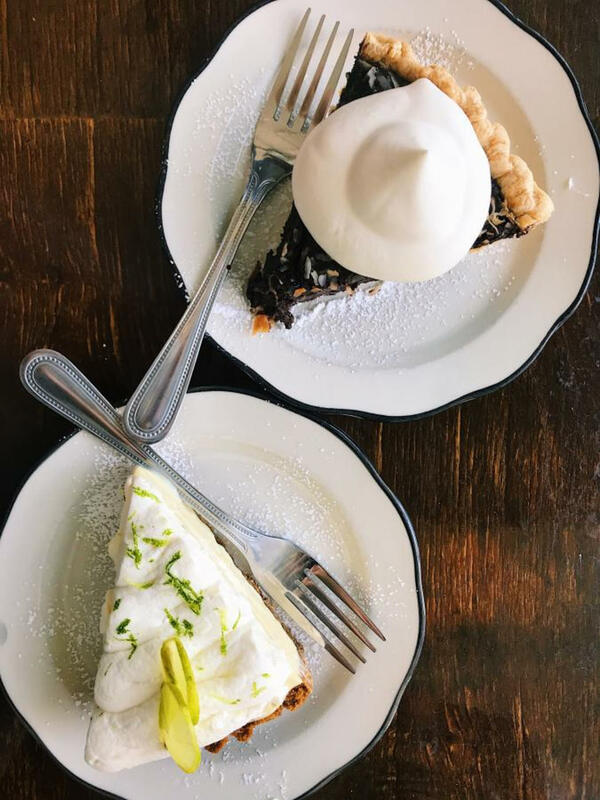 No picnic would be complete without something sweet, and at Proper Pie, picking your dessert might be the hardest decision you make all day. The assortment of pies is overwhelming at times, but we believe in you! The good news is no pie choice is a bad pie choice. One big note here: Proper Pie is open Wednesday to Sunday and pies do sell out, so plan accordingly. The park with "the view that named Richmond," Libby Hill Park has some of the most beautiful views in the city. On one side you have views of Shockoe Bottom and the city skyline, and on the other you’ll see the James River and Rocketts Landing. 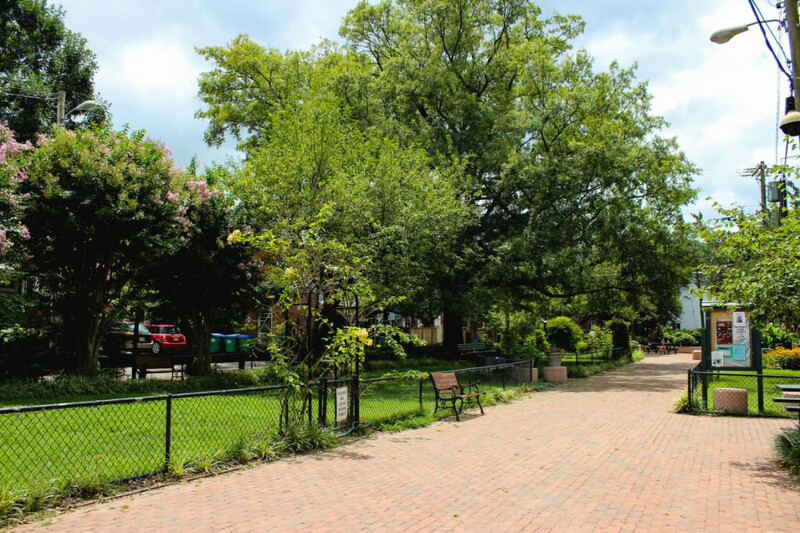 In the park you’ll find plenty of green space to unfurl your blanket and even a few picnic tables. If you’re looking for a romantic spot to eat dinner and watch the sunset with your boo, this is it. There's been so much happening in Richmond’s restaurant scene in recent years that sometimes it can be easy to forget about restaurants that keep it simple — and we mean that in the best way possible. Garnett’s Cafe has two locations: the original on Park Avenue in the Fan District and a new downtown location at The Valentine. What you’ll find here: elevated sandwiches, salads and a glorious selection of desserts. The original location of Garnett’s even has picnic baskets and blankets you can borrow when you order takeout, which is basically the stuff that picnic dreams are made of. The best part: you know the desserts will be good here, Garnett’s is a part of the same restaurant family as WPA Bakery. You don’t have to meander very far at all from the original location of Garnett’s to find a nice spot to picnic. Meadow Park (not to be confused with Meadow Event Park in Caroline County) is located on, you guessed it, Meadow Street, and is just a few steps across the street from Garnett’s. Benches are limited, so if you plan to visit this spot, bring a blanket or borrow one from Garnett's. Whether you live in Richmond or you’re visiting, chances are you may have heard of spots like Dinamo, Edo’s Squid and Mamma Zu if you’re a fan of Italian food. Well, 8 ½ is the takeout joint connected to these spots, and it’s the real deal. 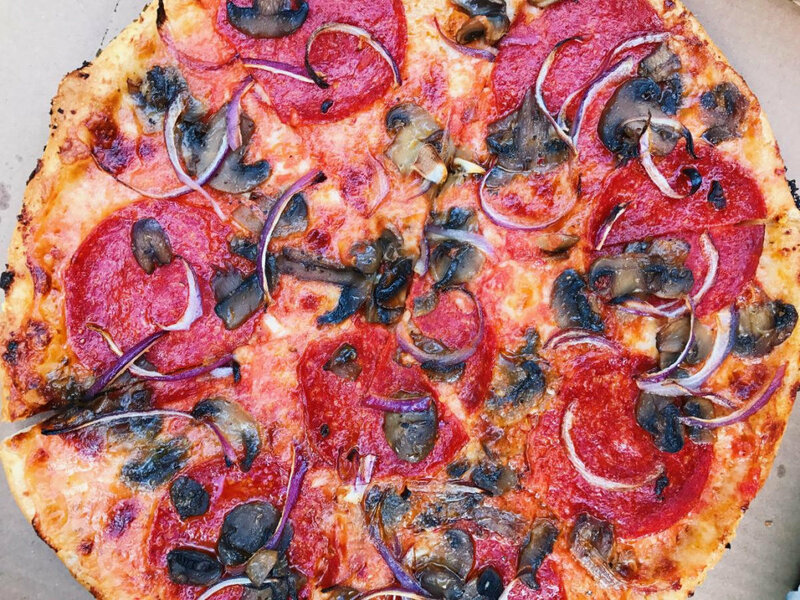 Menu favorites include pizza, pasta, heroes and entrees like eggplant parm or lasagna. Located on Strawberry Street in The Fan, 8 ½ is open daily for both your lunch and dinner picnic needs. While we wish 8 ½ was a secret so we could keep this goodness all to ourselves, the cat’s out of the bag on this one so plan accordingly. First, call ahead — typically 30-45 minutes before you want to pick your food up. Second, be prepared to walk for your pizza, it’s all street parking here and it can be hard to come by, but we promise it is totally worth the wait and the walk! Don't you love it when delicious take-out food is located just a stone’s throw away from an outdoor space where you can enjoy said food? We do, too. Enter Scuffletown Park, the little park located just across the way from 8 ½. It is a little hard to find if you don’t know what you’re looking for, so we recommend using the map at the end of this post to find it. A pocket park, Scuffletown isn’t huge, but what it lacks in size, it makes up for in charm. 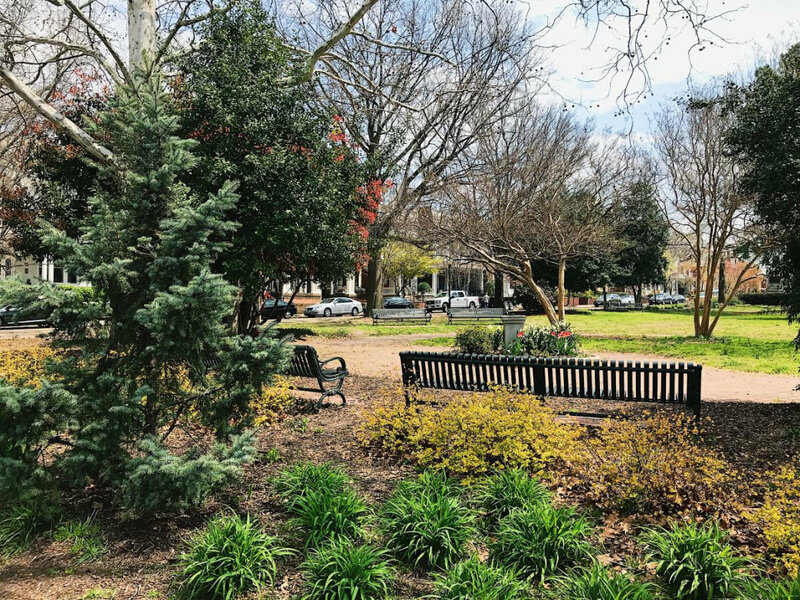 Picnic seating is available and there is even a Friends of Scuffletown Park group that works to make sure this piece of RVA is well cared for. 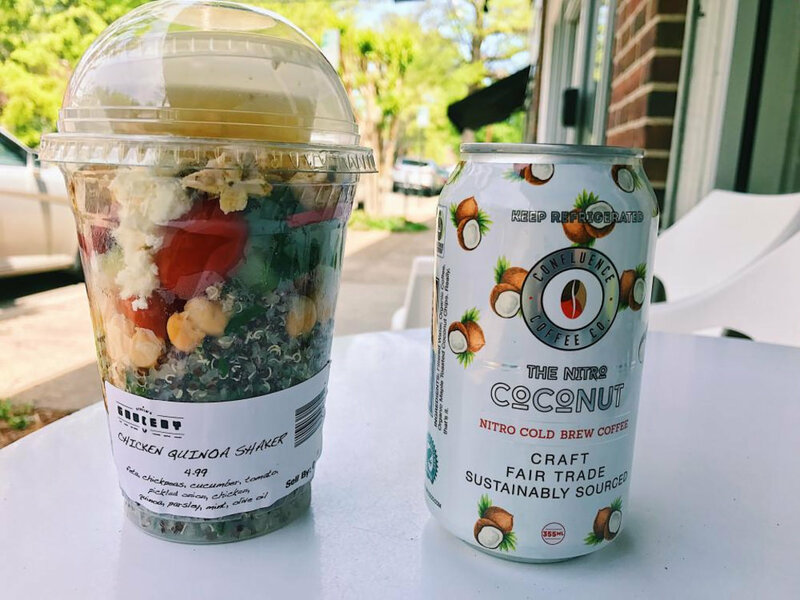 Located in the Near West End, Yellow Umbrella Provisions has all kinds of gourmet goods that are perfect to fill your picnic basket with, from cheese and artisanal breads to sweets and prepared items like country ham sandwiches and deviled eggs. Seriously, you can do your picnic up if you stop at Yellow Umbrella first. If you time your picnic excursion right, you can make things even easier on yourself —Yellow Umbrella has sandwich specials on a weekly basis Thursday – Saturday between 11:30 a.m. – 2 p.m. 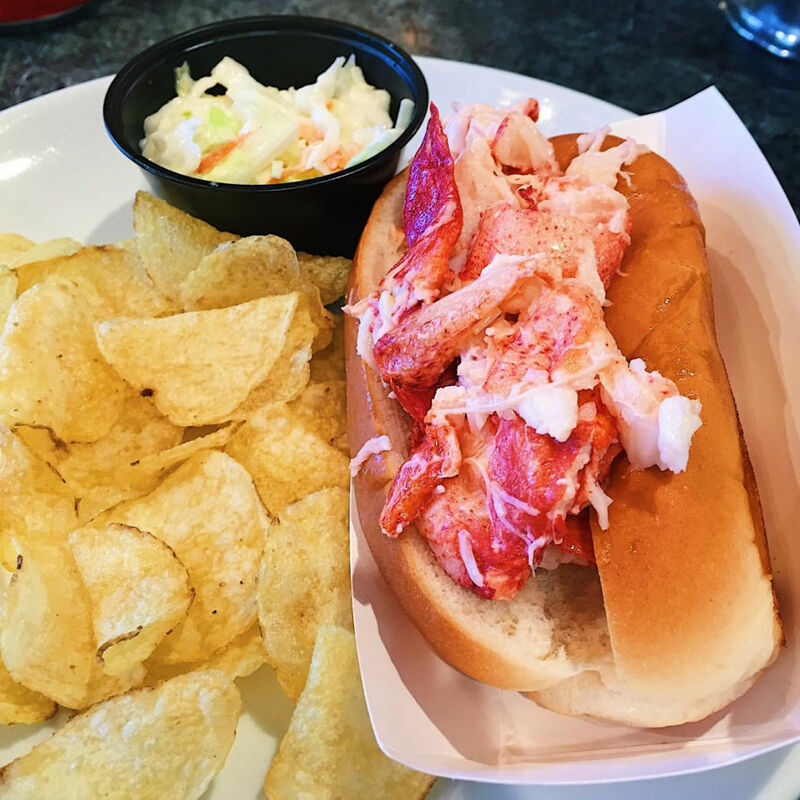 Follow along on Instagram to see the upcoming sandwich specials, including the very popular lobster roll. If you call ahead, your sandwich will even be waiting for you when you arrive! Okay, we’re stepping away from the park theme for a hot second here, but hear us out. You’d be hard-pressed to find a much more Instagram worthy setting than Westhampton Lake at University of Richmond. 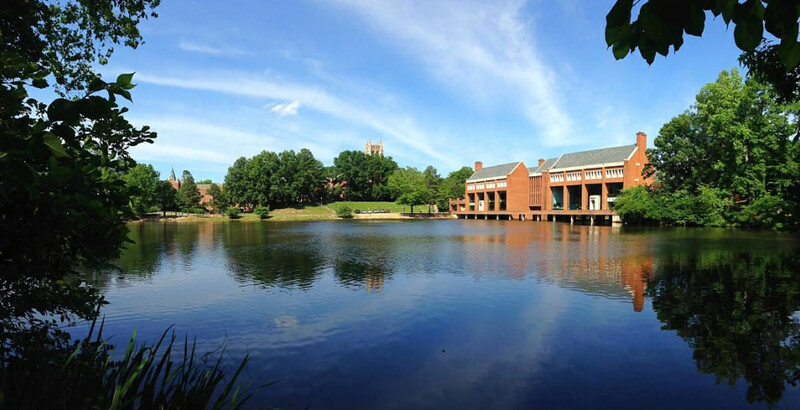 You’ve got a water view, lots of trees and a university setting that’s been recognized a number of times as one of most beautiful higher education institutions in the country. (We’re looking at you, Princeton Review). Take a blanket and your appetite for learning and you’ll be all set! Just kidding about the learning part, that’s optional. (Image courtesy of University of Richmond). Bonus: We’ve created a handy-dandy Where to Picnic in Richmond map to guide your picnic adventures! Happy picnicking! Written by Visit Richmond VA for Visit Richmond. In a few short minutes you can go from bustling downtown streets to rolling hills on farms or gorgeous trails in state parks, wineries or world-class shopping. With sports facilities, meeting space, restaurants, oh the restaurants, across the region, you’re never far from something fun, and delicious, in the Richmond region.